Custom-made waste treatment Complex of IPEC manufacture was ordered by the largest mining and processing enterprise, JSC Apatit. 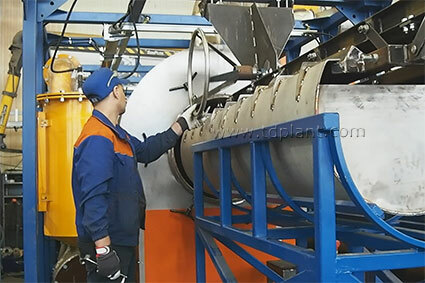 Thermal Decomposition Plant (TDP-1) enabled to process of large volumes of heavy and construction equipment tires (CAT type), accumulated at the company’s production fields. TDP-1 has the capacity of 500 kg rubber processing per cycle. 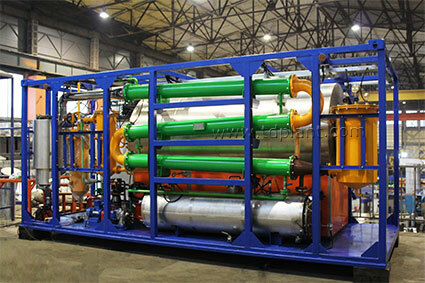 It is capable to obtain valuable and marketable products, such as fuel oil, pyrolysis gas and dry subsoil. Waste treatment Complex is equipped with a new loading device to simplify plant’s operation. Now it requires only one operator for managing the facility running. Due to high-calorific value, an excessive amount of synthetic gas is generated during the pyrolysis process. The excessive flue gas is directed for further utilization with no polluting emissions discharged into the atmosphere. TDP is an environmentally friendly and cost-effective solution for the processing of large volume of accumulated and newly generated waste. Tire pyrolysis technology was highly praised locally and will be ultimately expanded beyond the region.